"He (Ryan Hall) is an athlete who can win a lot of things, win a lot of medals.... He's the future." 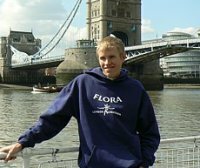 - reigning Olympic marathon champ Stefano Baldini talking about American sensation Ryan Hall at Wednesday's Flora London Men's Press Conference. 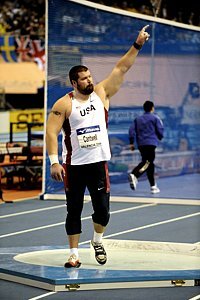 Hall indicated his training has gone very well as he's done his tempos "considerably faster" than last year and he's excited to see "how he stacks up" against the world's best. 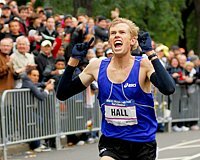 LRC coverage: 1) Article on Ryan Hall. 2): Article on men's press conference 3) Photo gallery. The British London Is Coming!!! *Stefano Baldini's Marathon Show Rolls On The 36-year-old doesn't think he can win in London but he's hoping to defend in Beijing. Not So Simple: London Times Looks At Kenyans Changing Nationalities and Spanish Athletic Boss Says They Are Exploited Like 'Slaves' Comparing it to slavery totally glosses over how abhorrent slavery was.